When Ballet West takes the stage at Kingsbury Hall to open the 2013-2014 season, it will mark 50 years since the company first began—on that very same stage. To celebrate the anniversary, the company is resurrecting The Firebird, an original piece of choreography by the company’s founder, Willam Christensen. Though Christensen choreographed numerous pieces over the course of his long career, Firebird exemplifies, more than any other, the choreographer’s love for the classical ballets of Europe, his ease with the contemporary American ballet style and his deep affection for vivid and dramatic storytelling. Christensen was surrounded by art from birth. Born in 1902 in Brigham City, his first dance lessons came from his uncle, his first music lessons from his father. In the 1920s, he left home with his two brothers, Harold and Lew, to perform in vaudeville shows on the Orpheum Circuit. There he developed the theatrical style that colors dances like Firebird and set him apart from other ballet choreographers of his day. But it was likely his introduction to revolutionary Russian choreographer Michel Fokine in the 1930s in New York that led to the creation of Christensen’s own Firebird nearly 30 years later. 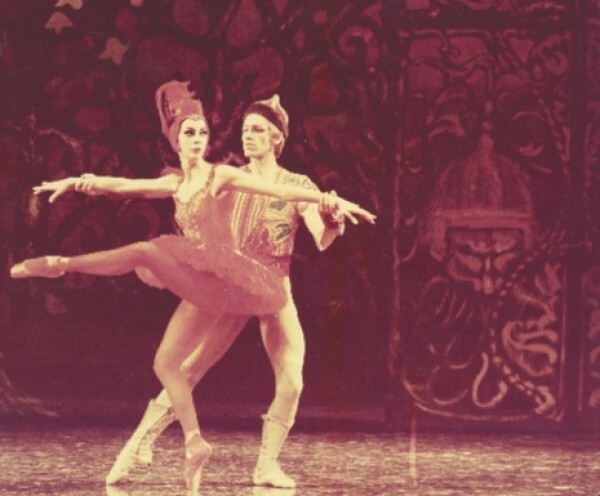 Fokine—Christensen’s mentor and teacher—had choreographed the first Firebird for Paris’ Ballets Russes to the original score by Igor Stravinsky. Over the next two decades, Christensen slowly found his way home to Utah, first moving to California to work with the San Francisco Ballet, and then to Salt Lake City, where, in 1963, he started the company that would become Ballet West. “Storytelling was Mr. Christensen’s forte; he was an operatic choreographer, and Firebird, in my opinion, is his best ballet,” says Bene Arnold, Ballet West’s first ballet mistress, who worked side by side with Christensen as he presented the work to his dancers in 1967. Arnold is just one of many people Ballet West has brought in to help re-create The Firebird 33 years after its last performance. In fact, it was Arnold who first put in motion the ballet’s revival. When Adam Sklute joined Ballet West as the company’s artistic director six years ago, he contacted Arnold for a little insider’s advice and guidance. Without hesitation, Arnold told him about The Firebird. She rounded up an old reel-to-reel tape and sent him a copy; Sklute instantly fell in love. “I was inspired by the ballet’s vivid magical qualities,” says Sklute, who immediately began searching for just the right moment to bring the ballet back to life. That moment arose with the company’s 50th anniversary. Intent on making the revival as true to Christensen’s vision as possible, Sklute set out to reconstruct not just the steps, but also the sets and costumes. “We make what we call bibles for every ballet,” Sklute says. “Our costume shop dug up the old bible for The Firebird, and we rediscovered Polaroid photos and sketches of the costumes.” Many of the elaborate costumes will be onstage in November, including intricate monster masks that, though designed for the original production, were never realized by Christensen because of budget constraints. When the company started rehearsing for the current production in August, Caldwell reviewed a video of the performance, archived in The New York Public Library, to refresh each part in his mind before teaching it to the company. He did not, however, share the video with his dancers.